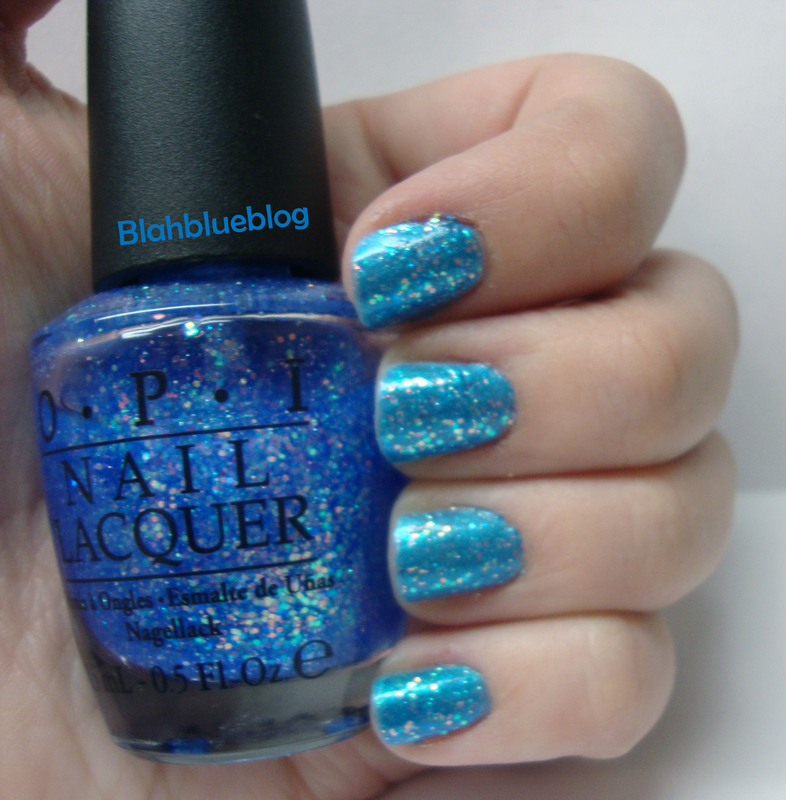 Last Friday Night is a very sheer blue glitter from the Katy Perry OPI Collection. Last Friday Night is densely packed with tiny foil micro-glitter and larger blue, pink and green hexagonal glitter in a pale blue jelly base. It has a bad reputation due to issues with opacity and for being different from the promotional pictures. For me it is just too sheer of a color to wear it on its own, but it makes a great top coat and I love it for half-moons. In the photo above I have one coat of Last Friday Night layered over two coats of OPI Azure for Sure (reviewed here). With my half-moon nails Last Friday Night (previously posted here) is pictured over a clear base coat. 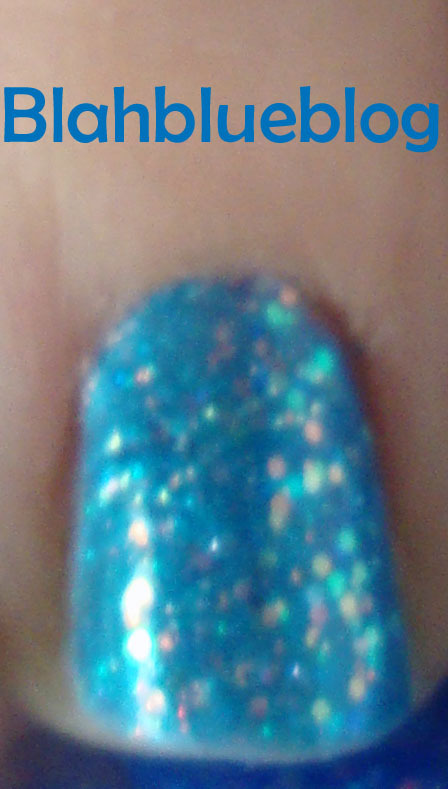 It really shows how light the jelly blue base looks on the nail compared to how it looks in the bottle. I find that Last Friday Night looks very similar to China Glaze’s Snow Globe. I will post a comparison sometime soon. As far as formula goes application is easy, especially for a glitter. It dries quickly with a slightly rough texture but can easily be smoothed with a clear top coat such as Seche Vite.